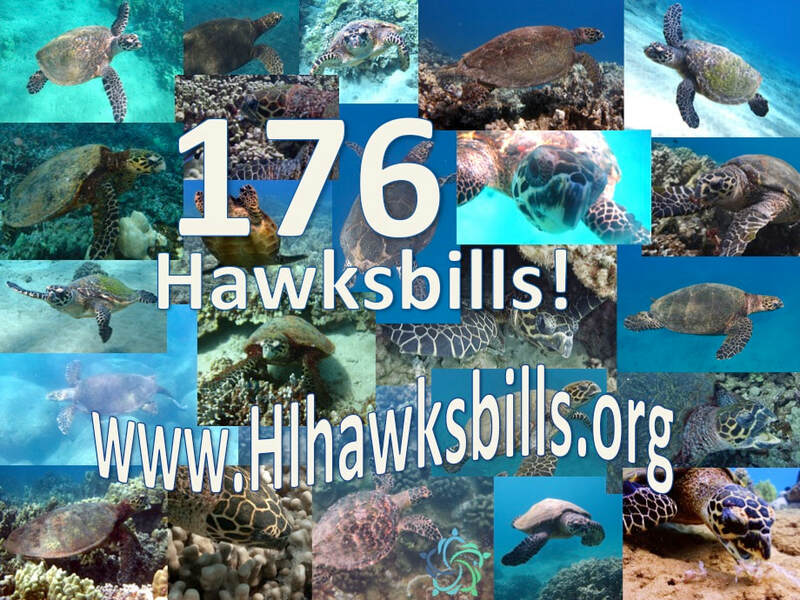 ​This educational site is dedicated to advancing the scientific understanding of the critically endangered Hawaiian hawksbill sea turtle (Eretmochelys imbricata) to aid in its local and global conservation. Mahalo nui loa (thank you very much) to everyone who has contributed to this project! Mahalo to all who have contributed sightings and support! Please remember... Sea turtles are protected under state and federal laws and it is illegal to harass, harm, pursue, or capture. Please ensure that photos are taken from a responsible and respectful distance. Any efforts to photograph turtles must not disturb or alter natural behavior. 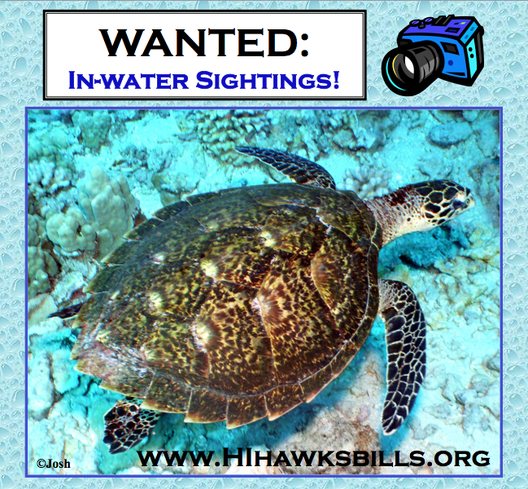 Click here to read the latest "Hawaiian Hawksbill Happenings"